Below you fill find all funeral homes and cemeteries in or near Crane. Crane is also known as: Crane County / Crane city. Zip codes in the city: 79731. Crane County funeral flowers can be purchased from one of the local funeral shops we partner with. Some of the notable people born here have been: Kenny Walker (american football player). It was disclosed on May 23rd, 2014 that AnnaMarie Sheriff (Cardinale) died in Crane, Texas. Ms. Sheriff was 55 years old and was born in Monterey, CA. Send flowers to share your condolences and honor AnnaMarie's life. It was disclosed by Odessa American on June 7th, 2013 that Steve Pharaoh passed away in Crane, Texas. Pharaoh was 82 years old and was born in Garvin County, OK. Send flowers to express your sympathy and honor Steve's life. It was written by Odessa American on May 14th, 2013 that Jackie Lee Whicker passed away in Crane, Texas. Whicker was 72 years old and was born in Shernida, IN. Send flowers to express your sorrow and honor Jackie Lee's life. It was noted by Odessa American on May 8th, 2013 that Leona Hope Hyche (Robinson) died in Crane, Texas. Ms. Hyche was 88 years old. Send flowers to express your sorrow and honor Leona Hope's life. It was disclosed by Odessa American on May 7th, 2013 that Joan Nixon (Smith) perished in Crane, Texas. Ms. Nixon was 85 years old. Send flowers to express your sympathy and honor Joan's life. It was disclosed by Odessa American on April 11th, 2013 that Irene Drones (Morris) passed on in Crane, Texas. Ms. Drones was 73 years old. Send flowers to express your sympathy and honor Irene's life. It was written by Odessa American on March 14th, 2013 that William Paul "Bill" Sutton died in Crane, Texas. Sutton was 68 years old and was born in Yuba City, CA. Send flowers to express your sympathy and honor William Paul "Bill"'s life. It was revealed by Odessa American on February 22nd, 2013 that Dannie Lee Seward passed on in Crane, Texas. Seward was 90 years old. Send flowers to express your sorrow and honor Dannie Lee's life. It was disclosed by Odessa American on February 10th, 2013 that Martin Lee "Marty" Werline passed away in Crane, Texas. Werline was 38 years old and was born in Oak Harbor, WA. Send flowers to express your sorrow and honor Martin Lee "Marty"'s life. It was disclosed by Odessa American on February 5th, 2013 that Velma Jean Barnett (Bruce) passed away in Crane, Texas. Ms. Barnett was 81 years old. Send flowers to express your sorrow and honor Velma Jean's life. 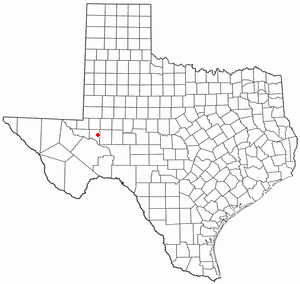 Crane is a city in and the county seat of Crane County, Texas County, Texas, United States. The population was 3,191 at the 2000 United States Census census. . . . The official website for the city of Crane is http://cityofcranetexas.com. Sparkman-Crane Funeral Home, Dallas, TX : Reviews and maps - Yahoo! Local, 214.327.8291. Get Ratings, Reviews, Photos and more on Yahoo! Local. Find a Funeral Home inCrane, Texas TX to provide the caring burial and ceremonial services your family deserves. Taylor, Chris - Sparkman-Crane Funeral Home, Dallas, TX : Reviews and maps - Yahoo! Local, 214.327.8291. Get Ratings, Reviews, Photos and more on Yahoo! Local. We work with local florists and flower shops to offer same day delivery. You will find budget sympathy flowers in Crane here. Our funeral flowers are cheap in price but not in value.